June 8-9 - School Musical - Annie! Inquiry: What are inquiry questions? Inquiry Questions are drawn from and inspired a unit’s Statement of Inquiry. These questions give shape and scope to the unit of study. Inquiry questions provide scaffolding for students to explore and understand the Statement of Inquiry and drive the learning experiences. Learner Profile Attribute of the Month, May: Principled. Principled learners demonstrate honesty, a sense of fairness and respect towards others. They take responsibility for their own actions. 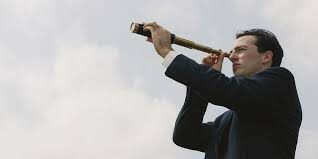 Each year the District surveys students, staff, and parents to gather information for planning, program evaluation, and assessment of progress on the District's Strategic Plan. The student survey takes about 20 minutes during the regular school day. The data gathered from the survey are anonymous; your child will not put his/her name or other identifying information on the survey. Like other surveys, results will be presented only about groups.. No individual data will be reported. Student surveys of middle and high schools include three optional questions for students to identify their gender, ethnicity / race, and sexual orientation. These questions allow for additional levels of analysis of questions on inclusion, safety and bullying. Your child may skip questions or stop filling out the survey at any time. Refusing to participate or withdrawing from the survey does not affect your child's grades or class standing in any way. If you or your child does not want to participate, your child can read or do some other activity while his or her classmates complete the survey. After reviewing the survey, if you do not want your child to participate, please notify <insert school contact information>. Cada año, el distrito lleva a cabo encuestas para los estudiantes y el personal con el fin de obtener información para la planificación y la evaluación del programa así como del progreso del Plan Estratégico del Distrito. La encuesta de estudiantes toma aproximadamente 20 minutos durante el día escolar. La información que obtengamos de la encuesta es anónima; su hijo no incluirá su nombre o cualquier información de identificación en la encuesta. Al igual que otras encuestas, los resultados que se presentan son sólo acerca de los grupos. No se proporcionará información de su estudiante. Las encuestas del estudiante de las escuelas de secundaria y preparatoria incluyeron tres preguntas opcionales para los estudiantes identificar su género, grupo étnico/raza, e inclinación sexual. Estas preguntas permiten niveles de análisis adicionales en cuanto a la inclusión, la seguridad y la intimidación. Su hijo puede no contestar las preguntas o dejar de contestar la encuesta en cualquier momento. El negarse a participar en la encuesta o no terminar de contestarla, no afecta las calificaciones o rango de su hijo. Si usted o su hijo no quieren participar, su hijo puede leer o hacer alguna otra actividad, mientras que sus compañeros de clase completan la encuesta. "Libraries Rock!" at the Library this summer! The Cedar Mill Community Library and the Cedar Mill Community Library @ Bethany are hosting a Summer Reading Program and all children and teenagers are welcome to join, beginning on Friday, June 1, 2018. Every reader and pre-reader who participates will be able to earn some great prizes, including a free paperback book! During the summer, both Cedar Mill Libraries will also be hosting special performances by musicians, magicians, and other creative performers. All programs are free of charge and a calendar of events will be available on June 1. 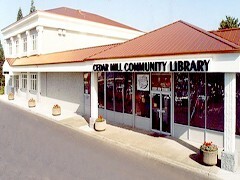 The Cedar Mill Community Library is located at 12505 NW Cornell Road, Suite 13, at the intersection of Cornell Road and Saltzman Road, behind Sunset Bingo. The Cedar Mill Community Library @ Bethany can be found on at 15325 NW Central Drive, Suite J-8 in the Bethany Village Shopping Center off of NW Bethany Boulevard. This Association is a 501(c)3, tax exempt corporation dedicated to providing free public library services. The Cedar Mill and Cedar Mill Community Library @ Bethany Libraries are part of the twelve member Washington County Cooperative Library Services (WCCLS). by all 8th graders. 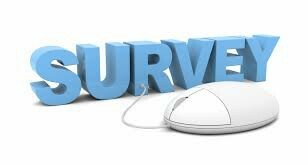 PE teachers may administer the survey starting May 9th and after parents have been notified. PDF previews are available on the Research & Reports webpage. As this year draws to an end, we know a few of students may want to take courses over the summer outside of the Beaverton School District to accelerate their sequences at high school, usually in math. We want to give you some information that students and families will need to know around district process. District policy necessitates that courses taken outside the BSD must align with BSD learning targets if they are to receive credit. Examples would be summer courses taken at BYU, PCC or Jesuit High School. The pre-approval process exists to ensure that students and families understand this before an outside course is taken. Students will need to contact their Sunset or Beaverton High counselor, before the class is taken, to get pre-approval. Contact the appropriate high school, and the front desk guide you to the correct counselor. Please note that this process does not apply to students taking a summer course through the Beaverton School District. BSD Summer Courses will be transcripted and applied to our sequences as any other BSD course. Also, it's important to note that beginning July 1st it's likely that the only outside courses that the BSD will accept are those that are teacher-led, versus online only. Please see the following r/t End of Year Medication Disposals. All unused, unneeded and expired medications at school are to be picked up by the child's parent or legal guardian. 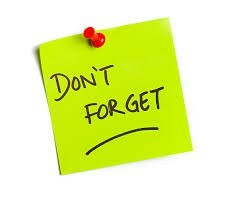 If the medications have not been picked up, or other arrangements made, within 5 working days (June 26th) of the last student school day, then disposal of the medications will occur. We are asking for volunteers to join us for one or more volunteer shifts on June 12th, 14th and 15th, 2018 for our annual Chromebook return. Below is the link to sign up. 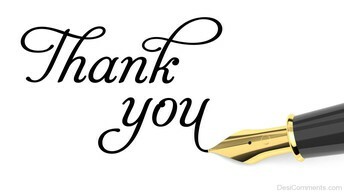 To our Orchard Supply Hardware neighbors at Peterkort Towne Square. A very generous donation of dirt and plants to beautify our courtyard is appreciated. Members of the Timbers will be on hand to help with this project on Monday, June 11.